IORA Ecological Solutions Pvt. 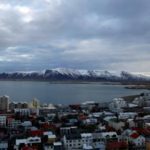 Ltd. is an environmental advisory group with expertise in natural resource conservation, climate change mitigation and adaptation. Founded in 2009, IORA’s multi-disciplinary expertise in finance, policy advisory and scientific research alongside the firm’s experience and proven ability to design and implement projects across the globe, enables us to offer an integrated and effective platform for large scale ecosystem conservation projects leading to our emergence as a domain leader in India. Our team of over 75 members is headquartered in Delhi with regional offices in Mumbai, Karnataka, Assam and Madhya Pradesh. IORA’s actions for a greener future is spread across the length and breadth of India. Our solutions on climate change, energy and healthy forests are being implemented in 10 million hectares in 19 states of India. We have trained forest personnel on scientific methods of managing natural resources. We have been successful in converging private and public resources in these impactful and result oriented engagements. in Sikkim, Madhya Pradesh and Assam. In partnership with Majuli District Administration, IORA proposed a roadmap for this newly created district of Assam to become India’s first Carbon Neutral District by the year 2020. Under the Sustainable Actions for Carbon Resilient Development initiative (SACReD), we are supporting the District Administration and the Department of Environment and Forests of Assam government, through the Assam Project on Forestry and Biodiversity Conservation, to develop a comprehensive carbon neutrality strategy and building an online registry to ensure the alignment of all development projects in Majuli with SACReD goals. IORA has compiled baseline emissions of 6 key sectors and projections of future emissions based on current development plans. We took this 360 video on our recent visit to the forests of #jharkhand where we had the amazing opportunity to visit a #Sal forest with Deputy Conservator of Forests, Ranchi, Ms. Smitha Pankaj and Range Forest Officer, Mr. Ajay Kumar Manjul. 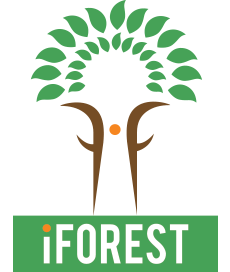 India Forest Portal (IFP) is the first platform in India dedicated exclusively to providing a public repository of information on India’s forests and developing a community of individuals and organization who are committed to enhancing the health of India’s forests. Co-developed by IORA Ecological Solutions and Vertiver, IFP has been created with the objective of consolidating disparate information on India’s forests into a singular platform and making it compelling for lay audiences who seek to know more about India’s forests and biodiversity and contribute to their conservation. IFP was launched on the UN International Day of Forest, March 21st, 2015. Over the course of the year, the IFP team has developed a mobile app called iforest which will provide real time access to information that lets users know more about the forests in their vicinity. Presently, most current knowledge about forests in India is contained in technical journals and publications by the Ministry of Environment, Forest and Climate Change (MoEFCC), Forest Research Institute (FRI), etc. 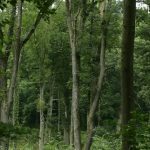 IFP is being built to act as a single reference point that guides anybody interested in knowing about forests, one of the largest natural assets of the country. In order for India to achieve its forestry targets mentioned in the INDC, an active and engaged citizenry will have to be encouraged to participate in forest conservation initiatives by empowering them with the right information and knowledge. Corporate Forest Responsibility (CFR), introduced by IORA Ecological Solutions and Forest PLUS was launched on August 28th, 2014 in Mumbai in the first private sector focused national level consultation conducted by the USAID/Forest-PLUS team in India. 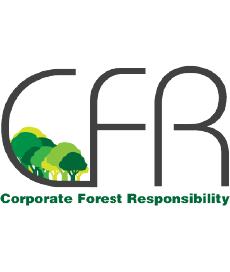 CFR serves as the nexus between public and private enterprises for promoting sustainable business practices, conserving Forests and Biodiversity and empowerment of forest dependent communities in India. It facilitates private investment in the conservation and enhancement of forests by developing forestry based adaptation and mitigation measures. CFR is designed to be easily incorporated within the new Companies (Corporate Social Responsibility Policy) Rules, 2014 and business operations of corporations in India. Investing in a rigorous community and government led monitoring and reporting regime. Error: Error validating access token: Session has expired on Thursday, 28-Feb-19 04:00:00 PST. The current time is Friday, 26-Apr-19 06:41:28 PDT.